When i add that come to the object it says, the comma can't be there. So i assume the problem isn't about the comma, but rather about the coding itself, but i can't figure it out... Can someone help me? EDIT: I am also using taxonomy fields, maybe that's why there is this error? Might not be an answer, but I'm adding my 2 cents. You can remove all headers. These should be inserted automatically by the SharePoint's HTTP action. 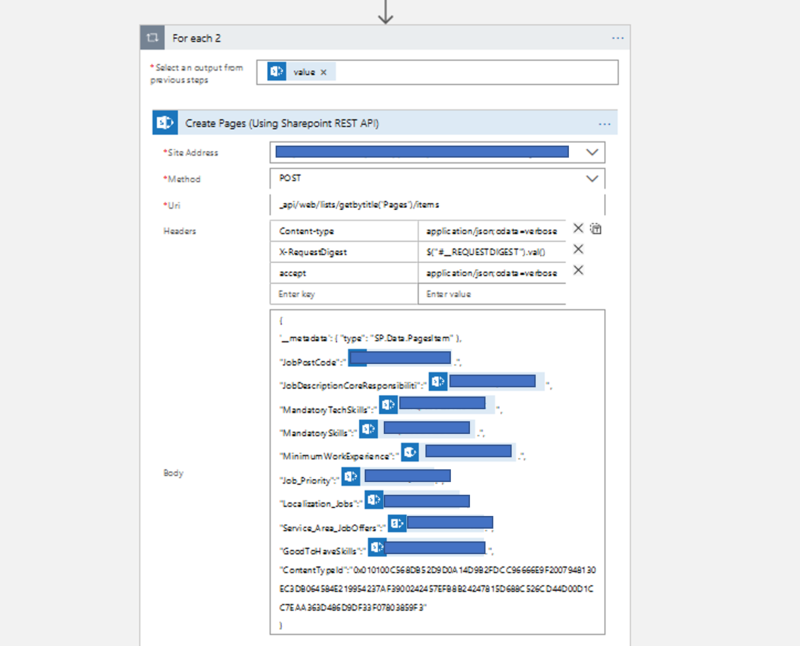 How about creating a page using create SharePoint list item action instead of HTTP? Does it not work for you because you need to specify a content type? In body use single quote(') instead of double quote (") and it will work. Not the answer you're looking for? Browse other questions tagged sharepoint-online sharepoint-rest-api flow create-page or ask your own question.